This denizen of age-old cottage gardens is sought after today as a welcome vertical statement. 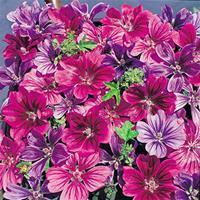 Sturdy multi-branched spikes of pink flowers are encased in showy, long-lasting violet bracts. 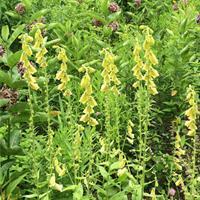 a sinus-clearing scent of grapefruit and pine rises from the bruised leaves and flowers of clary. Part of the herbal apothecary of the past,traditionally used as an eyewash, or "clear eye", it also was employed in cosmetics, and as a flavoring in Muscatel-type wines. Large leaves are deeply textured. Listed in an 1827 catalog. Self sows. 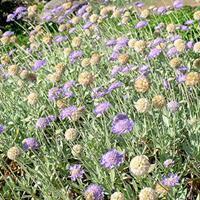 Silvery white perfect globes of bloom light up the summer garden and attract bees by the score. Fully branching for more flowers, it also is shorter than the species and is a valued selection in well-drained garden beds in sun. 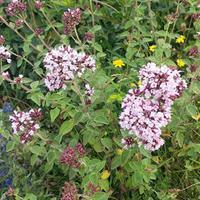 Native to the Mediterranean, red valerian thrives in well-drained poor alkaline soils and easily reseeds to fill difficult barren spots with gray-green foliage and plentiful flower heads composed of clustered starry florets. The rich rosy red color brightens up informal cottage gardens, lovely with mealy cup sage and lavenders. Mid to late summer bloomer- a boon to migrating butterflies. 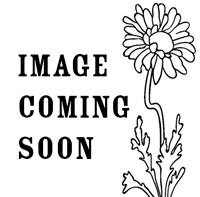 A velvety dark chocolate ganache of a flower, with edible petals to use as a garnish if you wish, this sweet William has green pointed foliage that matures a dark bronzy green. Blooming the first year from a late winter sowing indoors they are perfect for interplanting with red sweet Williams in the early summer cottage garden. Introduced in 1905, this variety has deep blue flower spikes. The name Anchusa means 'paint for the skin,' for its close relative A. tinctoria was the source of a commonly used rouge. Try it with garden heliotrope, roses and iris; you will love the intense blue. Late spring bloom. Well-drained soils. Biennial to short-lived perennial. Large butter yellow bells add sunshine to your early summer cottage garden, combining pleasingly with old fashioned columbines and poppies and adding a welcome vertical accent. Also brightens dry shade areas. A froth of fresh-as-spring green with elegantly divided foliage. 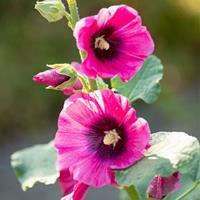 Mix with hollyhocks for a beautiful garden border. 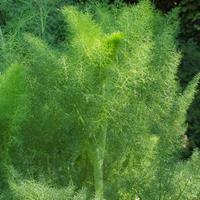 Fennel is an important source of food for Swallowtail butterfly larvae. Self sows. 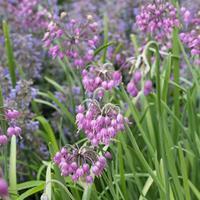 Funnel-shaped flowers in shades of rich purple, lavender and light blue bloom along the tall stems in late spring to mid autumn. The petal tips are notched and the darker veining gives a dramatic air. Self sows, blooms first year.